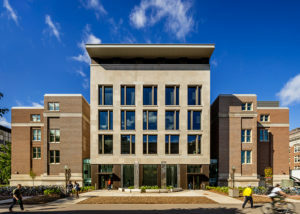 The renovation of Tate Hall, originally built in 1926, transforms the building into a new facility for the School of Physics and Astronomy (SPA) and the School of Earth Sciences (ESCI), providing 30 research labs, 20 teaching labs, and 10 classrooms. To accommodate these new functions, 130,000 square feet of existing space was renovated to modernize the building, while preserving its historic character as part of the Northrop Mall Historic District. 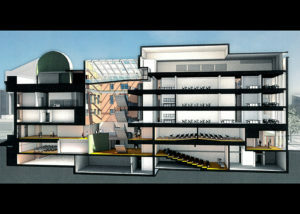 The rooftop observatory was also restored and expanded for both student use and public stargazing. 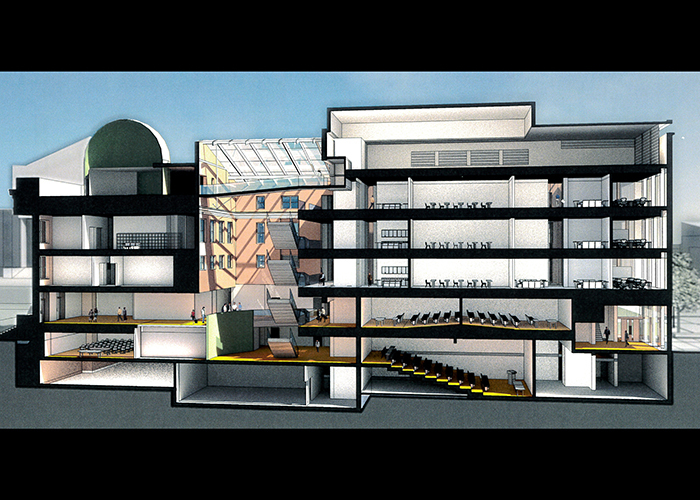 Antiquated auditoriums were demolished at the front and center of the building and replaced with a five-story structural steel addition, which features a central atrium, two basement levels, and a new entrance on the east side. New addition floors are composite metal deck formed concrete. Guidelines of the National Register of Historic Places were followed for the repair and modernization of the exterior of the building, which included replacement of windows, tuck pointing, and replacement of damaged brick and limestone.